They should not be in buiseness. This is all just a money grabbing scan, you’ll leave the office feeling much worse than you entered. Terrible work was done by Dr. Goodman. Did an extraction on one of my teeth and left pieces in the socket which has caused an infection and severe pain with further complications. Thanks for $370 wasted and more to come. Do not go to this place. So many visits and almost always a great experience. Be prepared to pay for the services. This office is amazing! They are wonderful, from the staff, dentists to the services. I was greatly impressed and would recommend Dental Emergency Service to anyone! Excellent and professional!!! I went in a few weeks ago to get my wisdom tooth taken out because i was absolutely dying in pain !!! They admitted me with barley any wait! The receptionist was very professional helped me sign the papers accordingly and admitted me in immediately while explaining the main procedure. I must say Dr. Steele was extremely gentle and quick with the procedure!!! So happy!!! In regards to these other comments maybe no one has been to dental offices before??? Payment before admission is standard procedure and is completly understandable since anyone can have services done and run! Thank you again Dr. Steele and the staff!!! Wonderful! Wonderful! Wonderful!!!! Professional and courteous dental care. Dr.Kivlichan was warm and funny and most important for me, he was extremely gentle. Clinic took care of my tooth pain right away. Prices were very fair. Recommended. Today was my first day ever going to this emergency clinic. I got nothing but discriminated,and humiliated by the receptionist. When asked to speak with her manager she told me she was the boss. When asked for her name to make a formal complaint she would not give me her name. Lack of professionalism something needs to be done. Totally mystified by this persons complaint.our staff are multi"ethnic", from all over the world-we do not discriminate by race,color,religion or any persons character.we treat all patients with respect, and are aware that patients may arrive in distress /pain,and may be very anxious.perhaps this person may have misconstrued our efficiency with discourtesy -an apology may be in order.anybody can ask for the dentist to call back . i will respond asap. the same day.we are there to help. My wife phoned for advice after our 5 year old fell at school and cut his mouth and knocked his teeth. Never has my wife been spoken to so badly before she ended up in tears. In the end we took our child to Sick Kids. If they treat people with the contempt they showed my wife on a call then I dread to think what they would do in person. Thanks for making a terrible day even worse! Fell on my face at 7 a.m while out with the dog. Broke my front tooth. I was in by 8:00 am and what wonderful people. The dentist was just great. First time I’ve ever needed an emergency dentist in my life, and I’m thankful they were there. It was my regular dentist’s day off, and the receptionist was trying to put me off until the following day. I did some research on emergency dentists in Toronto, and these guys popped up. Who knew losing a filling would hurt as much as it did. Thanks, I’d recommend you to anyone. Do not go here!! Terrible service!! I had a very painful toothache recently, so I decided to visit this dental hospital. The doctor put in temporary fillings before I see my dentist and assured me it should be okay. After the procedure, the pain seems to have been numb down. But when I got home, the pain slowly started picking up. So, today I called them up, but they wanted me to pay more to fix the toothache that they didn't properly fixed the first time for which I paid an expensive sum of $260+. Not only that, the phone operator was extremely rude, it seems like they don't care about you once they get the money. The only reason why I decided to try out this hospital in the first place was because it had 4 star, but now in my opinion, those reviews might have been fake. Either way, if you have toothache, try to find another hospital which actually cares about patient and is actually worth your money. In my experience, this hospital charges you a hefty sum of money yet it fails to fix the toothache and asks you to pay more to "fix" it again. I would highly reccomend this place to anyone! I broke a tooth and wanted help on a Saturday evening and there they were, open until midnight! The office was VERy busy but even so i was seen within the hour and was home with a fixed tooth less then 2 hours from the time I broke it! The staff are SUPER friendly and the dentist himself was kind, gentel and very knowledgable. I was surprised that the cost wasn't more- I have paid more for a regular filling at my 'regular' dentist! Normally I can't stand going to the dentist so a rave review from me is pretty special! 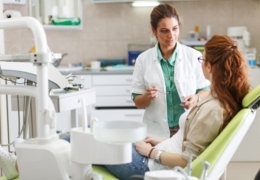 If you are misfortunate enough to have a dental emergency, go there- you won't be sorry. I had a really bad experience. Everybody in this clinic take care of one thing - money. When you make a call to book an appointment doctor assistant discuss with you mainly one thing-how you are going to pay. I didn't get any useful advice, any help, but they made me pay. On top of that regular dentist offered me procedure that he was not allowed to do. 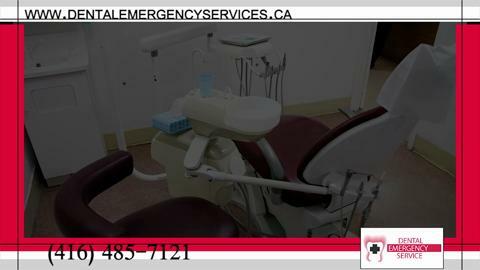 This is the perfect place to go if you have dental emergencies. No need to have an appointment, just go there and someone qualified will take care of any problem. No matter where you are in Toronto or what time of day it is, this dental clinic is always one of your options. They’re easy to get to at Yonge and St. Clair, and have the kind of hours that normally you could only dream of (8 a. m. to midnight). They also have an answering service from midnight to 8 a. m. Plus, they can help you out in English, French, Japanese and Filipino, so you never have to worry about misunderstandings.